Grav and I ventured in one lunchtime to get something sustaining and warm in our bellies - the weather was chilly and we were both dragging. 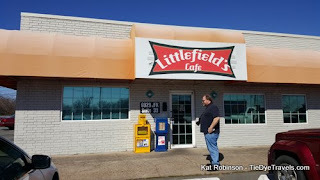 Now, Littlefield's Cafe had for a short while a few years back inhabited the old Starlite Diner, in between its run as the headquarters for Hunka Pie and its evolution into the excellent Gail's Diner. For the past couple of years, it's lived in a building that started out life as a Pizza Inn decades back, on the north end of the Indian Hills shopping center. 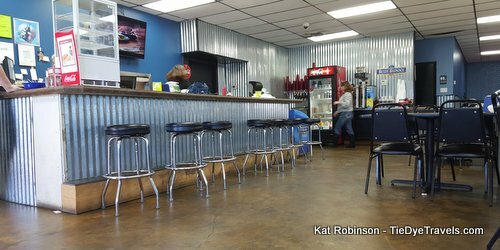 Inside, much of the diner aesthetic is contained between blue-painted walls on concrete floors - a bar for solo diners, tables and padded back chairs for two or more. The bar and back were clad in something approximating corrugated tin, and the specials were listed on a blackboard. 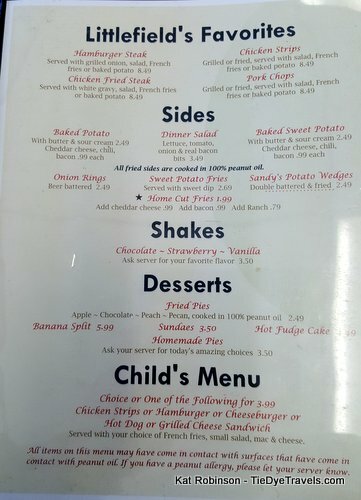 I really wanted something hot and starchy, so I went with the daily special of chicken and dumplings with two sides. The sides for the day were green beans, white beans, turnip greens, carrots, veg sticks, corn and potato salad - some of which garnered my hunger, and one of which garnered my curiosity. Once I found out the beans and greens were all cooked with bacon or ham, I went for the veg sticks and the potato salad. The bowl of chicken and dumplings brought to me had apparently been tempered to withstand the heat of napalm, and I left it on the tray a while before eating it. The chicken had become not much more than strings, but the dumplings were firm but pliant and they had a lovely flavor to them. 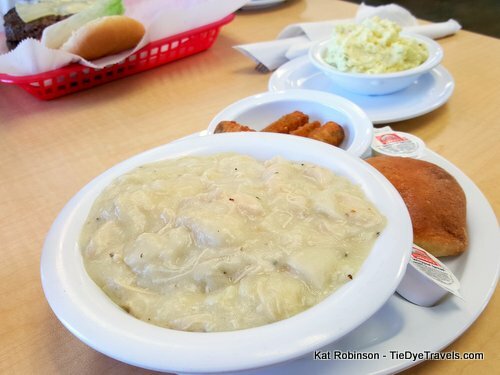 I had worried when I saw them that they were Sue B chicken and dumplings - because I remember male relations in my past eating said dish right out of the can - but the flavor was more buttery and peppery and it met the requirements for warming me up. Indeed, I had to remove my coat. 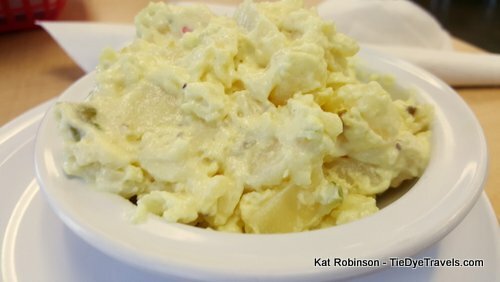 I rather dug the potato salad, too - though it reminded me of Kroger's Southern Style Potato Salad, it indeed fit the bill. But the veg sticks... okay, I guess I had suspected I'd receive a paper boat with celery and carrots and the always-present Ranch dressing. 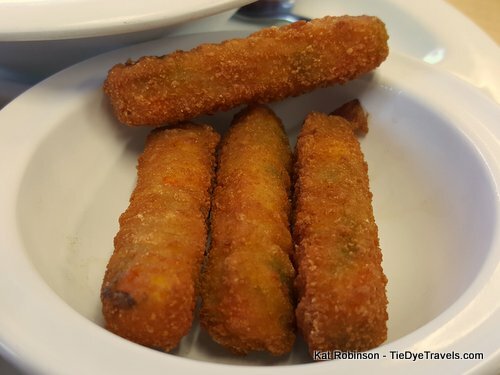 Instead, I got four battered and fried sticks that smelled of egg rolls and which were also surface-of-the-sun-hot. I satisfied myself with iced tea, potato salad and longing looks at Grav's burger while I awaited the mess to cool. What I found when I bit in was a selection of peas, carrots and corn. I wasn't displeased. 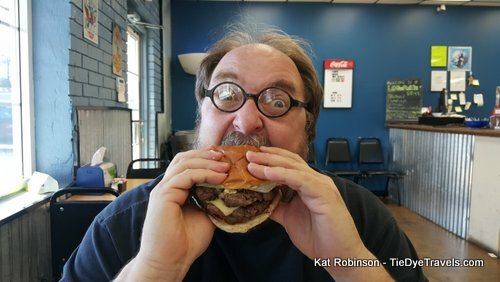 Grav, of course, had to make a great deal of his burger grimace, on a double cheeseburger with a goodly amount of salt and pepper in it. 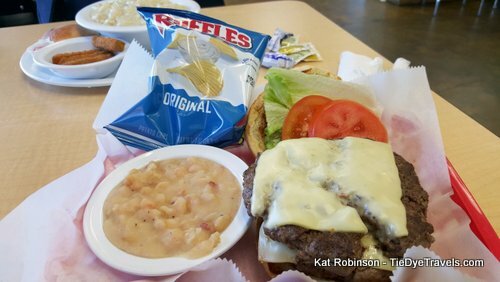 He had gone for the pepper jack cheese, and while I waited for my almost-glowing hot food to cool he reveled in this burger. I think he might have even been poking a bit of fun at me. 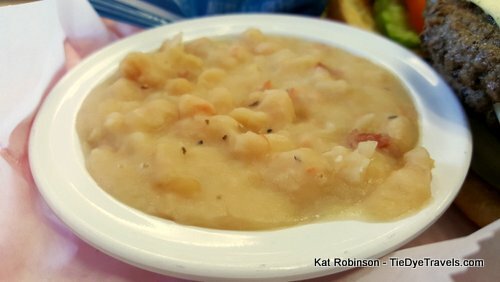 But then he tried his chosen side - not fries, not rings, but a bowl of white beans with ham, and he stopped gloating. Because this very humble dish had taken away his breath for a moment. Because it was hot. And tasty. And soon gone, with a wistful sigh and the verbalized though that maybe he should have skipped the burger and just had the beans with maybe some cornbread. Since I have to live with him, I was actually thankful he'd gone for the burger first. Beans, man. 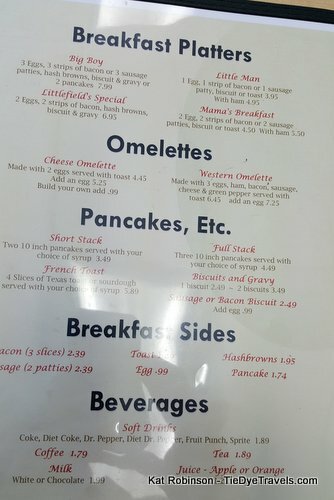 Well, we were at a diner, so as you suspect, pie needed to be involved. And it was. Not a dinky out-of-the-box slice but a nice, honest-to-goodness chunk of coconut meringue pie. 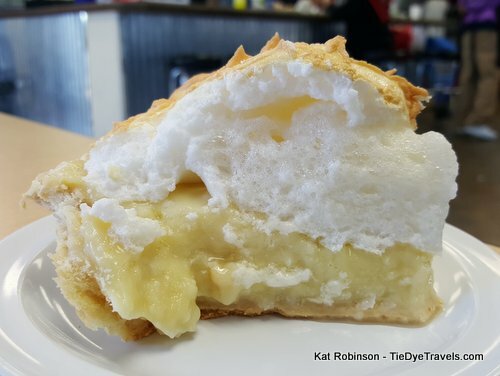 Mind you, our waitress had warned me that this was the last slice of the day, so I expected staleness and those little sugary dots of extraction you get on the surface of a meringue after six hours or more. But this was a pleasant hunk of meringue atop a nice, firm coconut custard, and its cool interior managed to sooth the burns I'd acquired on the roof of my mouth from too quickly enjoying the chicken and dumplings. 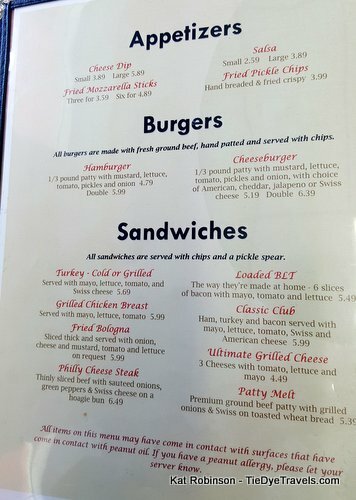 Now I did discover later that turkey bacon is an option for breakfast, and beer and wine are available, and for those looking for breakfast or brews that's awesome. For me and Grav, Littlefield's cafe ticked the box for filling diner food, and we'll keep it in mind next time we're in the area. 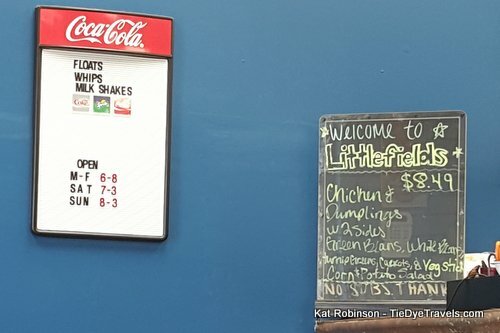 You'll find Littlefield's Cafe at 6929 John F Kennedy Boulevard in North Little Rock, within spitting distance of Sherwood (though why you'd want to spit at Sherwood is beyond me). The phone number is (501) 819-6120 and there's a Facebook page. It's open 6 a.m. - 8 p.m. Monday through Friday, 7 a.m. to 3 p.m. Saturday and 8 a.m. to 3 p.m. Sunday.